We know that first impressions count, so how your site looks is of paramount importance. Whether you have an existing site that needs updating or want a brand-new site created, we will custom build your site to meet your requirements. 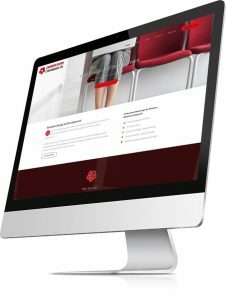 We can provide a range of services including creating logos, graphics and video to produce an elegant and captivating site. Anything is possible – that’s what makes our job so exciting! www.easywhois.com shows the registration of your site. We provide quality hosting where we know that your site will be safe, fast and reliable. Our hosting packages come with email accounts as standard, and a multitude of other tools to allow us to create contact forms, databases, password protected directories, etc. As standard, we set up a Google account to use Webmaster Tools and Google Analytics. We target your search engine phrases and help tailor your site with these in mind. We do not hide text or use ‘black hat’ techniques, which unethically hides content; we only use reputable methods. Your site will be verified by Google and tracking code will be put in each page so that data is collected about the frequency and duration of visitors to your site, the search terms used, and lots of other useful data. We will email you a report on a weekly or monthly basis. We can set up Google Adwords which provides ‘Pay Per Click’ (PPC) advertising campaigns which can be set to a daily budget for your specific search terms. Your campaign can be set to target specific groups and point to a specific page on your site. These can be turned off and on as needed and edited easily to modify the keywords and settings. Facebook, Twitter, Digg, Linkedin and similar sites are all great ways to get links pointing to your site and increase your web presence. It can be a low-cost way to get new business and develop interest in your services or products. QR (Quick Response Code or Matrix Bar Code) was first created for the car industry to track cars and is now used in advertising, on business cards, buses and even chocolate! Smartphones users can download a free QR reader app and, using an internet connection, can read the QR image which links to a web page, YouTube video, Facebook page or PayPal button. Email contact forms allows potential clients to your website to contact you with questions, comments or to request more information – a catalogue, brochure, etc. It could be as simple as a call-back service or a series of questions, tick-boxes and drop-down men selections, such as on a feedback form or booking form.